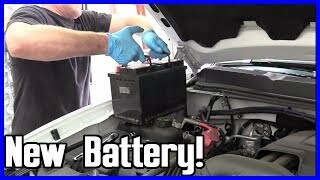 I was just wondering, my battery in my car is a 390 CCA, stock, can I go up on CCA's? It seems too low, I had a Hyundai 1.8 liter before and that had a 600 + CCA for battery. Yes, you can go higher, but don't get carried away. My 1980 Plymouth Volare actually came with a smaller battery than yours, and it worked just fine. When you go too big, say in the range of 700 cold cranking amps or higher, you're buying more battery than you will ever need or use. The CCA rating only indicates what the battery is capable of delivering in extreme conditions. A battery with more CCAs will not crank the engine any faster. In fact, to make room for the larger plates that can develop that much current, they have to be thinner, which translates into a shorter "reserve" time. That is the time it can run the radio or lights before it runs dead. Also, larger plates means they sit closer to the bottom of the case. Lead flakes off the plates of all batteries as they age, and when enough of that builds up in the bottom so it touches those plates, that cell becomes shorted. All of these things are trade-offs. Between a higher CCA rating, longer reserve capacity, and longer battery life, you give up some of one to get more of another. A good compromise for a 2.0L engine is a 500 to 650 CCA rating.